This time the Serrasolses brothers stopped in Lunahuana, a small town in the Cañete Province in Peru. Promoting kayaking and river conservation among kids with so much talent and motivation but few resources to paddle. 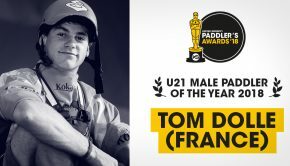 Watch out for this young Peruvian kayakers! *Gerd and Aniol Serrasolses need little introduction. Born and raised in Bescanó, a little town on the north east of Catalunya, they got into kayaking pretty much by chance and from then on started their life journey searching for the gnarliest whitewater on the planet. 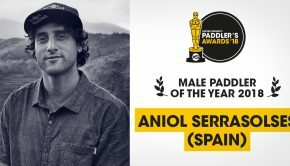 During their professional career the Serrasolses brothers have paddled more than 300 rivers, established over 20 first descents, successfully accomplished many expeditions and both are proclaimed World Champions. Based on their own experience of hard work and success, they decide to embark on a project that uses sports as a tool for empowerment and social change. The Serrasolses Brothers Program is a traveling kayaking camp that benefits children with talent and motivation but little means to paddle. The initiative was born out of their desire to give back through an educational program that supports the sustainable development of the international whitewater community. 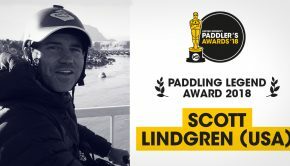 The program won Non Profit category at the Paddler’s Awards 2018.